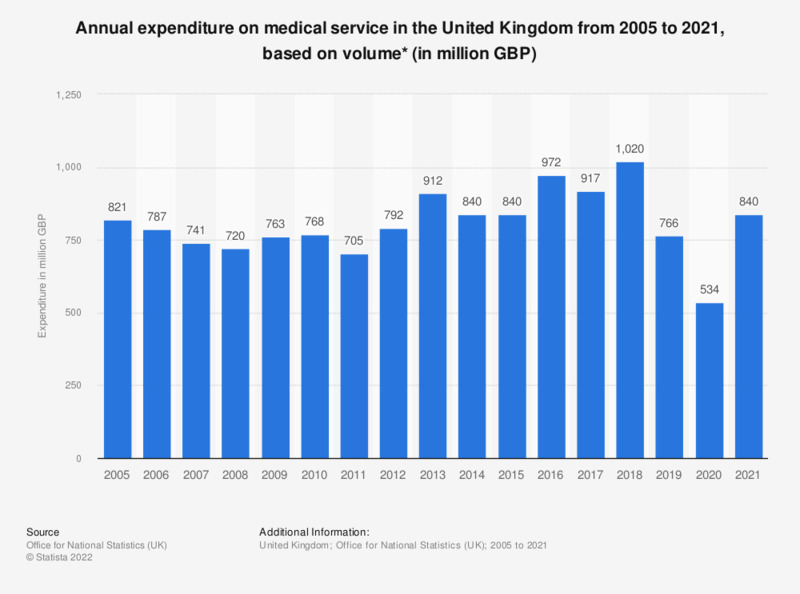 This statistic shows the total annual expenditure on medical service in the United Kingdom from 2005 to 2018, based on volume. In 2018, UK households bought approximately 6.7 billion British pounds worth of medical services, the highest amount in the provided time interval. Medical services excludes dental, paramedical and hospital services.